Promontorium malae spei: impiis periculose navigantibus propositium. Sive, signum & nota reprobationis: procrastinatio poenitentiae, scripta cautelae hominum, emendatione[m] vita[e] cunctantium, spe aliquando resipiscendi. Graz, [heirs of Georg] Widmanstetter for Sebastian Haupt, 1643. Large 4to (25.5 x 19 cm). 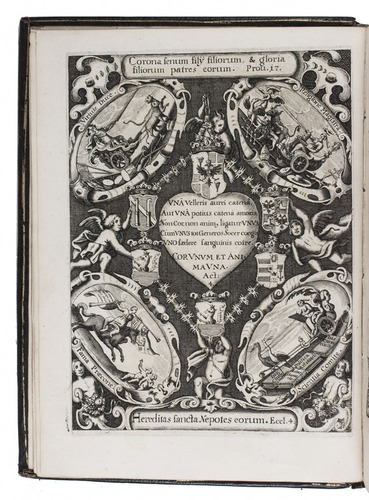 With an engraved allegorical frontispiece and a richly designed armorial and emblematic dedication plate, both by David Tscherning. 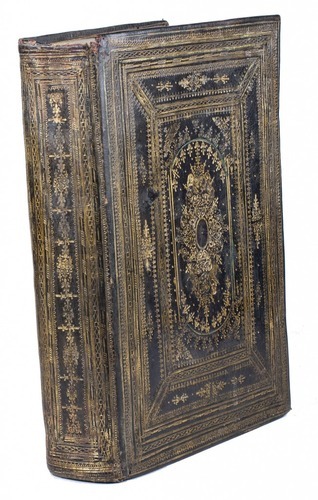 Contemporary, richly gold-tooled black morocco, each board in a panel design of rolls and stamps with a large built-up centrepiece in a double frame of multiple decorative rolls (the diagonals connecting the inner and outer frames possibly intended to give the effect of a three-dimensional niche), and the spine treated as a single field with built-up decorations in a frame of multiple rolls, gold fillets on turn-ins, the whole with hundreds of impressions of dozens of stamps and rolls, gilt edges, traces of 2 pair of ties. 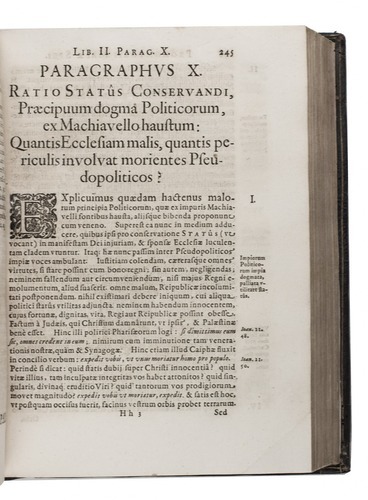 First and only edition of a Latin edifying text on moral and religious issues by the Jesuit Paul Zehentner (1589-1648), preacher at the Graz court of the widow of the Holy Roman Emperor Ferdinand II and teacher of grammar, the humanities and the Holy Scripture at Millestadt in Austria. It was intended to highlight the dangers of licentious behaviour and provides our first known reference to the tragedy of Leontius, a play Zehentner saw at the Jesuit University in Ingolstadt in 1615, and which was to serve as a prototype for the Don Juan legend (Keefe, Mozart studies, p. 140). 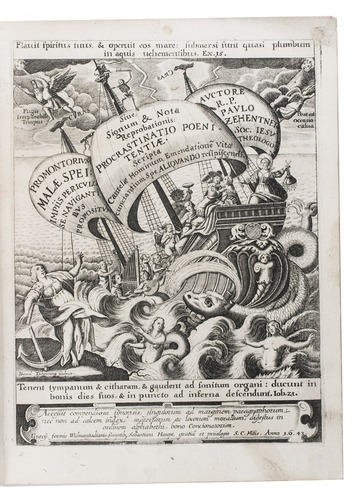 Zehentner dedicated the book to Leonardus Helfridus, Count at Maggau, 26 October 1643, and received a privilege from the Holy Roman Emperor Ferdinand III. Of special interest is the beautiful contemporary binding, probably made in Austria, but inspired by French bindings of the period. With an early owner's inscription and a 19th-century library stamp and bookplate. With occasional minor browning and in the last few pages some marginal worm holes and stains, none approaching the text. With a small chip at the head of the spine and a small hole restored in the front board, and lacking the ties, but the binding is still in good condition, with the tooling crisp and clear. A beautifully bound copy of a rare Jesuit work warning of the consequences of licentiousness. De Backer & Sommervogel VIII, col. 1482 (Zehentner 3); VD17, 12:108154N (8 copies); WorldCat (5 copies).